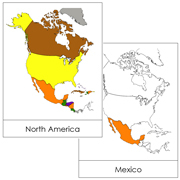 Blank, colored, labeled maps of North America. 20 Photographs that show the people, their life and images of North America (includes Central America). 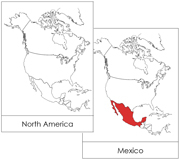 Countries of North & Central America. 30 Fun facts about North America. Pin flags for North America. 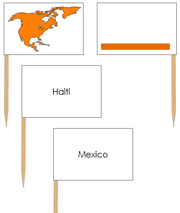 Pin flags for North & Central America. 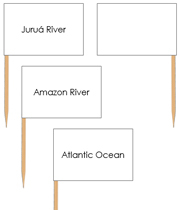 Pin flags for major North American waterways.